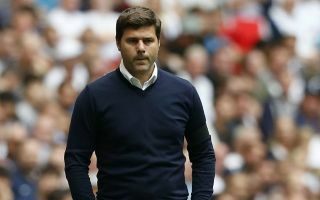 Tottenham have been famously quiet in the transfer window this summer as the only Premier League club not to make a single new signing. But as transfer deadlines around Europe are generally much later than in England, Spurs can still offload players before the end of the month. Well, they can try! Vincent Janssen was a prime target to be sold but, according to The Sun, Tottenham’s plans to get rid of the Dutchman have been scuppered by an injury blow. The Sun claim that Mauricio Pochettino had been hoping to find a buyer for Janssen before the European transfer deadline but may now have to wait until January after the 24-year-old aggravated an injury that may see him ruled out until Christmas. Janssen’s stock had already plummeted since he moved to White Hart Lane for £17m – fee reported by The Sun – from AZ Alkmaar in 2016. He only scored six goals in 39 games for Spurs and was loaned out to Fenerbahce last season. Delaying Janssen’s sale until January could see his value drop even further as it will be closer to the expiration of his contract in 2020.